Louisiana CC 1575 and CCP 2883 validate handwritten wills, called "olographic" wills, known in most other states as "holographic." To be valid, an olographic will must be entirely written in the testator's handwriting and dated and signed by the will maker. No witnesses need to sign an olographic will, but the court must hear testimony from two competent witnesses establishing the testator wrote the document and intended it to be her will. In Louisiana, at least three adults must witness the signature of a typed or printed will, known as a "nuncupative testament by private act" or a "notarial testament." 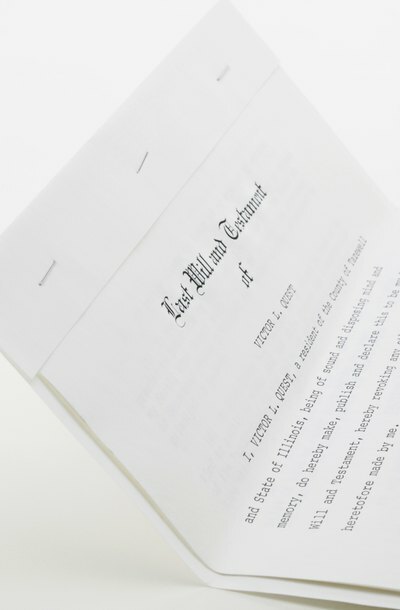 Before the will signing, the testator acknowledges to the witnesses that the document is her will, and at the probate hearing after the testator's death, each witness testifies that the document was signed in his presence and the signature belongs to the testator. In most other states, the term "nuncupative" denotes an oral will, but Louisiana does not recognize such wills. Louisiana statutes permit property located in the state to pass under wills probated outside the state. Under CC 2421 to 2424, such a will can be recorded in any parish where the testator has assets. The executor of the out-of-state will opens Louisiana probate by filing a copy of the out-of-state probate document along with a petition for probate. The same is true for wills made in jurisdictions that do not require probate proceedings, if properly authenticated by written proof. Louisiana is the only state permitting the "mystic" will, a document the testator prepares and signs in secret. The testator delivers the will in a sealed envelope to a notary public. The notary -- observed by at least three witnesses -- notes the event details on the outside of the envelope, which is then signed by the notary and witnesses. Under CCP 2885, the court requires the testimony of at least three of the witnesses to prove the will is valid. Pursuant to CCP 2851 and 2852, any person having an interest in a will may open the succession proceeding by filing a petition and submitting proof of death and a copy of the will to the parish court where the deceased last resided. The court will not admit a will to probate unless the petition is filed within five years after the judicial opening of the succession. Anyone objecting to the will may file an opposition to the petition. In that case, the court sets a date for a "contradictory trial," where supporters of the will must prove it is genuine and complies with state law. A testator often names in the will the person she wishes to administer the estate. The executor is charged with undertaking all duties necessary to move the estate through succession, including locating heirs, collecting assets and paying debts. Executors must act with scrupulous honesty in all will matters and avoid self-dealing. If the testator fails to name an executor, the court appoints a "dative testamentary executor" to undertake the responsibilities pursuant to CCP 3083. If the testator dies without a will, the court appoints an administrator of an intestate succession. If the testator died without a valid will, her property is divided among family members according to the laws of intestate succession. A spouse is automatically entitled to one-half of the community property assets of the estate; the remainder generally goes to children of the deceased. Under CCP 3001, if all heirs are competent and in agreement, the court may pass the property directly to the heirs, unless excessive debt exists and a creditor demands security before the court transfers ownership of estate property.